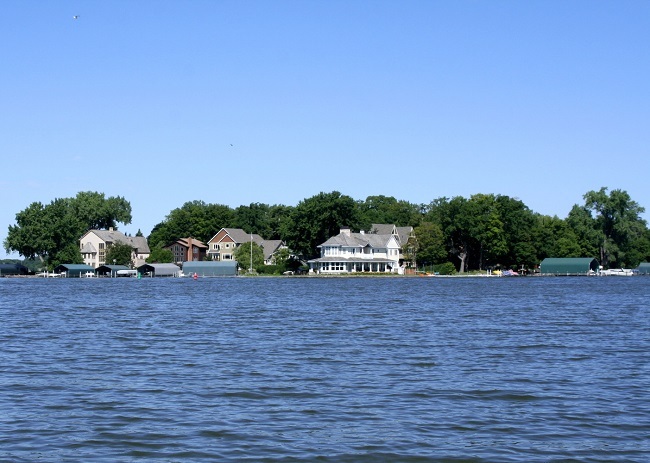 This action-packed bay is named after its geographical location on Lake Minnetonka. West Arm is east of Harrison Bay and west of Coffee Cove. Rockvam Boat Yards Marina is located on the southeast end of West Arm. Notable real estate on this bay include Fagerness Point and Shadywood Point. This bay has shoreline in the cities of Mound, Spring Park and Orono.